Navigate to wp-dashboard > Appearance > Menus. If you have not created any menus, the theme locations will be empty (note, the Mobile Plugin navigation is not relevant for this tutorial). The default WordPress pagination only comes with the “Older posts” and “Newer posts” links at the bottom of the page when you want to navigate to the older entries. This works fine for sites with few entries, but isn’t very user-friendly for blogs and sites with dozens or even hundreds of pages worth of entries. To enable your visitors to quickly navigate your site and browse through your content from page to page, a list of numbered pages would be more useful, like Google’s search results. This simple trick will let you split a single page or post into multiple pages. Just switch to the “Text” screen in your editor, and then add the following code wherever you’d like to add the paging. Below is the list of latest and updated jQuery interview questions and their answers for freshers as well as experienced users. 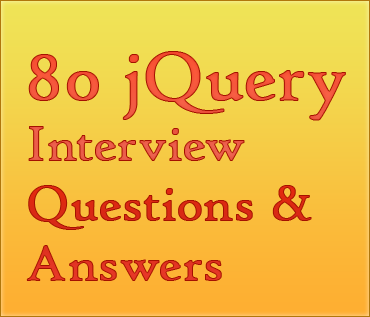 These interview question covers latest version of jQuery which is jQuery 2.0. These interview questions will help you to prepare for the interviews, for quick revision and provide strength to your technical skills. Q2. Why do we use jQuery? Ans: Due to following advantages. Easy to use for DOM manipulation and traversal. A simple function that returns the list of all wordpress child websites in the network. The code below just shows all the URL and unlinked. and you’re all done !! Make sure you change both *”post_max_size”* and *”upload_max_filesize”* in your “php.ini” (which is located where your “php.exe” is or C:\xampp\php\). Restart Apache and you’re all done !! Add !important tag to overwrite the admin css. And you are all done ! !